Astronauts fired up the International Space Station’s Yard-a-Pult (actually, we mean the Japanese Kibo arm’s satellite launcher) this week to send out a flock of Doves or tiny satellites that take pictures of the Earth below. 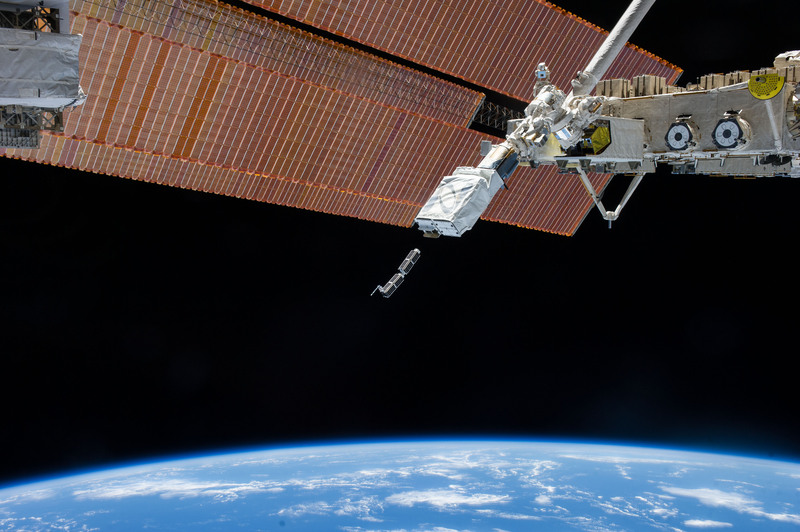 An incredible 28 satellites from Planet Labs of San Francisco are expected to swarm into orbit — the largest fleet yet, NASA says — but there have been delays in launching some of them. The aim? To provide Earth observation information for any purpose that is needed, whether it’s disaster relief or looking to learn more about the Earth’s environment. Planet Labs and NASA say that commercial applications could include real estate, mapping, construction and oil and gas monitoring. Deployments of two satellites each began on Tuesday and Wednesday, but NASA noted there are “glitches” (which the agency didn’t specify) that are holding up the launch of other ones. There’s no estimated date yet for sending out the rest of the satellites. “We believe that the democratization of information about a changing planet is the mission that we are focused on, and that, in and of itself, is going to be quite valuable for the planet,” stated Robbie Schingler, co-founder of Planet Labs. Flock 1 is a customer of the NanoRacks CubeSats program. CubeSats are small satellites that heavily rely on computer miniaturization to do the job of Earth observation and telecommunication that previously was the province of much larger and more expensive satellites. NanoRacks provides space both inside and outside the station for research experiments.